The force of the garage door springs enables the movement of the door. The coils of extension garage door springs stretch when the door is shut storing a massive force of energy, which is used when the door opens and the coils retract. 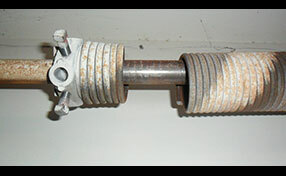 Extension springs are used for regular weight doors and in pairs of two. Springs are picked in relation to the weight of the door so that they will have the power required to open it. Very heavy doors would need one or two torsion springs. These types of springs turn from one side while they remain still on the other end. They develop torque by this force and the door can move. Proper spring installation entails knowing what kind of garage door springs are required for a specific garage system in terms of size and type. “Garage Door Repair Wantagh” does not only excel in that but also guarantees perfect installation. We don't only advise our customers when they ne ed to replace the existing springs but make sure they are installed properly. We use great tools and know which end parts the torsion springs would need and how they are installed properly. We specialize in garage door torsion spring replacement and how to replace extension springs perfectly. As experienced garage door repair professionals, we give extra attention to spring services and discourage our customers from getting involved in spring repairs themselves. Springs can be very dangerous if they snap and that's why you need our professional expertise. Rest assured that we are knowledgeable and extremely well-trained technicians. We come equipped and make sure all spring issues are solved fast. As a matter of fact, Garage Door Repair Wantagh will send one of its emergency technicians should there are urgent spring problems. Trust our speed when the door is not well balanced and the springs need adjustment. We repair springs as fast as possible and our work is always efficient and professional. 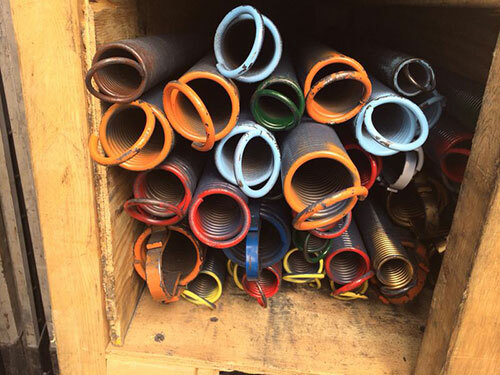 Contact us if you need torsion and extension springs repair!